Charter schools now enroll more than 20 percent of public school children in 25 school districts across the country, according to a new report from the National Alliance for Public Charter Schools, which tracks charter-school growth annually. Overall, charters enrolled more than two million students in 41 states and the District of Columbia during the 2011-12 school year; that amounts to about 5 percent of public school enrollment nationally. In only one community, New Orleans, did charters serve more than half of the public school children last year. But the data suggest that within the next few years, charters will likely educate a majority of students in other communities as well. For instance, charters enrolled 41 percent of students in both Detroit Public Schools and the District of Columbia Public Schools in 2011-12. 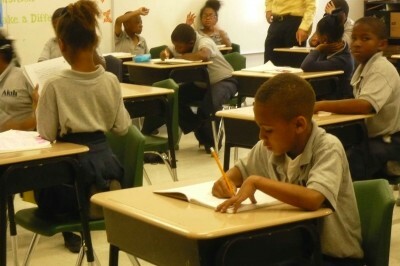 Seven other communities experienced growth greater than 25 percent in charter-school enrollment between 2010 and 2011. Apart from New Orleans, Washington, D.C., and a few other Southern cities, Midwestern towns dominated the top 10 list. The report cites parent demand as a major explanation for charters’ growth. But President Barack Obama’s Race to the Top program also motivated some states to lift or eliminate their caps on the number of charter schools allowable under state law. For more background on the history and politics of charter schools, please see this Education Writers Association guide.